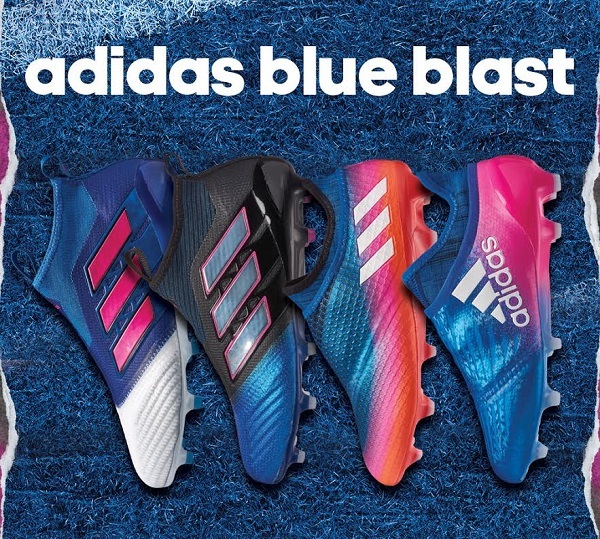 Adidas have officially released the full “Blue Blast” pack that includes all of the silos adidas have on tap. 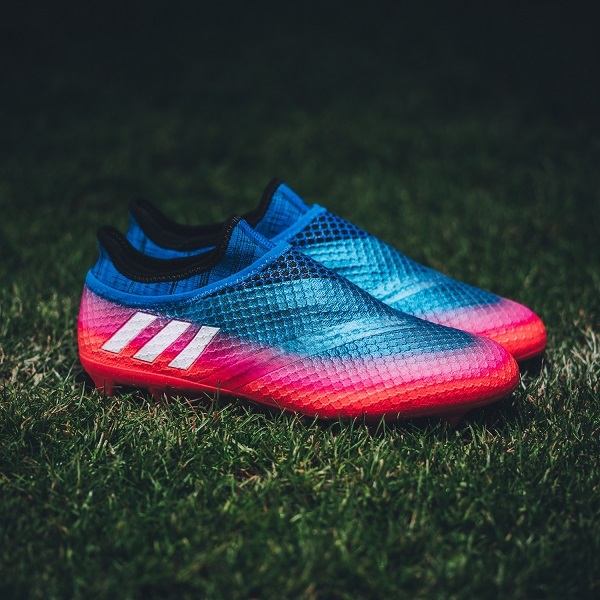 You may have already seen the ACE PureControl and Primeknit Blue Blast colorway last week, but now that adidas have completed the whole set and there are some top colorways included in this pack. The ACE Blue Blast pack included their indoor and turf Tango variations, which Andrew has covered for us previously. 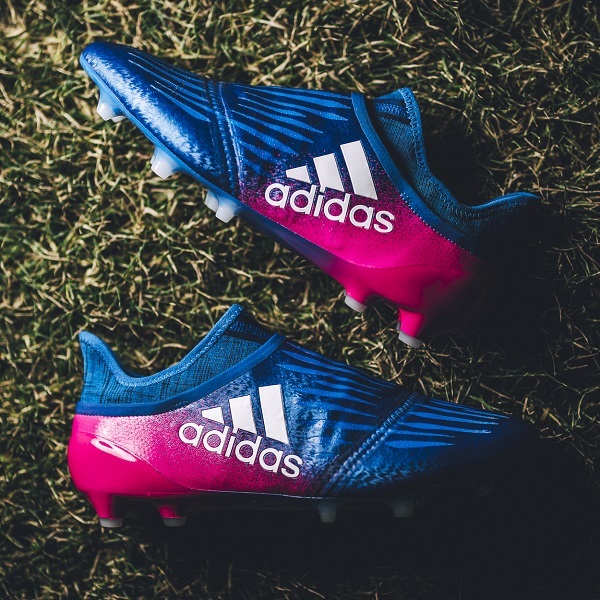 The new pack includes the adidas X, Messi, and even the Copa 17 lines to truly give us the adidas blues. 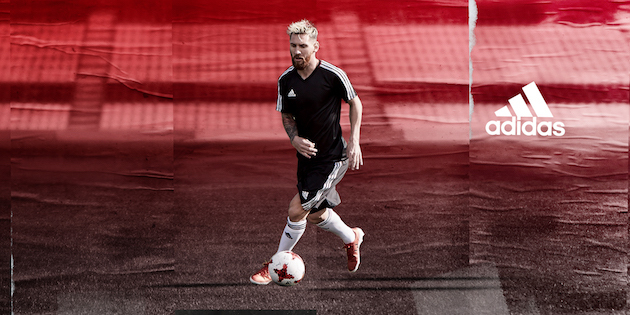 The adidas X silo includes the top option, which is the X 16+ PureChaos. 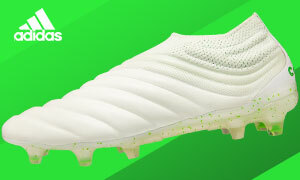 This includes the lace cover to give the laceless look and feel for the attacking players. Under that, we see what the Luis Suarez and Gareth Bale reach for in the X 16.1, which is the more traditional option with exposed laces. The colorway is primarily blue from the toe to the start of the adidas logo on the outside of your foot, and the X branding on the instep. From that area, we see the Shock Pink colorway that covers the entire heel area and stretches underneath to nearly halfway down the soleplate. The colorway is the exact same for the Purechaos and 16.1 so whether you grab one or the other for your next boot, you’re still looking fresh. 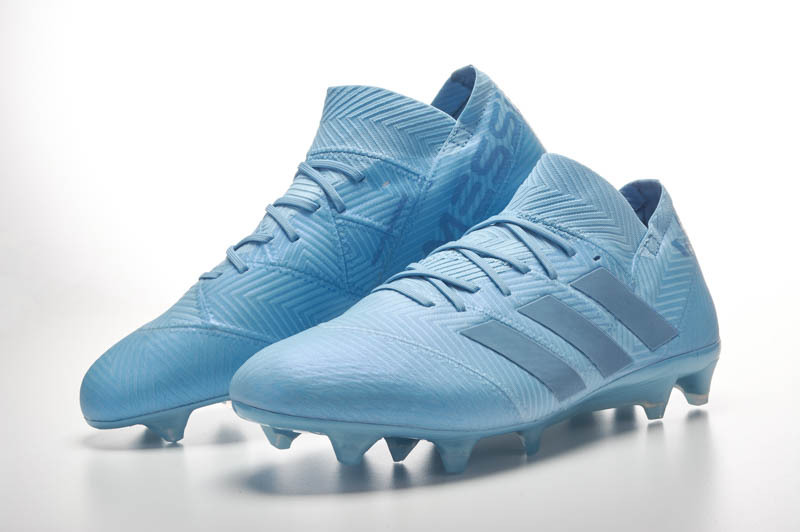 The Messi colorway looks awful familiar at first sight if you just looked at the colorway from the top of the boot. The blue colorway we have seen on the Messi silo previously but this time we see the colorway fade into the Solar Pink very briefly, then fading into Solar Orange on the bottom of the upper and the entire soleplate. The addias three stripes branding is white and is found on the outside of your foot and on the heel. The Messi branding in Solar Blue is on the instep of your boot to show you that this line is designed for the man himself. The boot the Argentine magician is actually wearing on field is the Messi 16.1, which is the low top, uncovered version. The colorway remains the same and fades into the Solar Orange exactly the same way. Which ever option intrigues you, the Messi colorway takes a unique look on for the Blue Blast pack. Lastly, the Copa 17 takes on the Ice part of the Fire and Ice look for the Copa as the Blue Blast pack colorway simply replaces the Red Limit red upper. A simple change, but one that will be pleasing to players who think maybe the red colorway is a little too vibrant for their liking. The blue leather upper makes up the majority of the colorway, which cuts off into white in the heel area. Copa branding is on the lip of the shoe and the adidas branding is in black on the heel. The three stripes are black with white outlines. The outsole is a clean mix of blue and white with Copa branding near the toe box. Personally, I like this Copa colorway above the other two launches so far. The clean cut blue and white colorway is a perfect look for the modernized Copa line. So there you have it! The brand new Blue Blast pack is complete. Which colorway is your favorite? Let us know your thoughts on the latest release from adidas in the comments below.